The Happy Boiler Company - Central Heating Engineer, Plumber based in Bexhill-on-Sea, East Sussex. We aim to provide you with the friendliest and best quality boiler and central heating repair, maintenance, or boiler installation service possible. We can provide all your heating, hot water, and gas appliance needs, for domestic and light commercial properties. We’re fully insured and Gas Safe registered. We have just moved to Bexhill on Sea, East Sussex to be nearer to family but we were the go to boiler people in Borough of Kingston upon Thames. We now cover all areas on the Surrey and East Sussex corridor. Please visit www.thehappyboiler.co.uk for more information on pricing, or to contact us. 2017 sees the Happy Boiler Company moving to Bexhill on Sea! While we'll still be available to help our Surrey and SW London customers, our family needs our help too. -Finally, in 2016, our very own Kate Kennerson became gas safe registered after completing training and taking exams. For those customers that want a female engineer - we've got it covered! 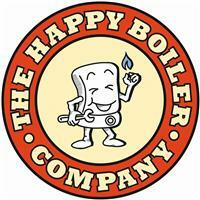 When we first started, 2013 proved to be an exciting one for The Happy Boiler Company. Tel was nominated for, and won the London Regional leg of Screwfix Britain’s Top Tradesman competition. The year before saw over 3000 entries for this annual prize. The Screwfix Britain’s Top Tradesman award is given to those who can prove they excel in their business.